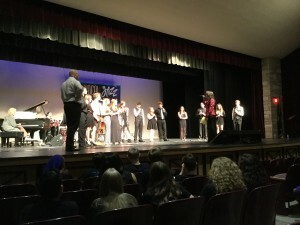 The Nebraska Choral Directors Association and Columbus High School hosted the 12th annual NCDA Vocal Jazz Festival in Columbus Nebraska. 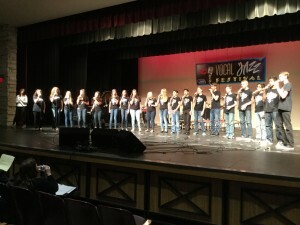 The New World Singers from Columbus High and Vocal Tech from the Columbus Middle School hosted 9 high schools and 2 collegiate groups to the festival. Throughout the day, schools took turns performing under the watchful eye of guest clinician Rosana Eckert, an internationally recognized live and studio vocalist, published songwriter and arranger, voice-over actor and master teacher who has released four solo CDs.